The Ozawa Seifuen is carrying out the manners of powdered green tea, and sale of tea by tea ceremony experience in Uji, Kyoto. Have you ever experienced Japanese-traditional tea-ceremony? A tea-ceremony room can seldom be experienced in Kyoto! 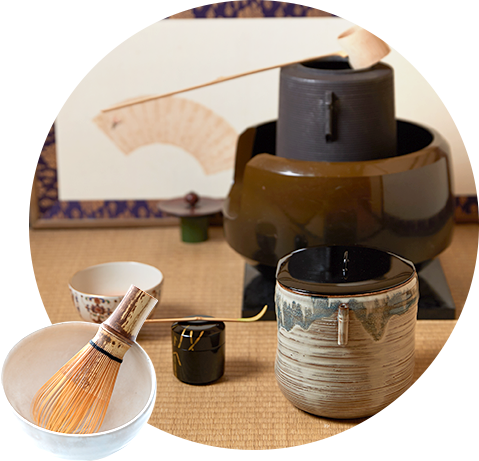 In the Ozawa Seihu-en, powdered-green-tea experience is made at a tea-ceremony room. How about challenging accomplishment in tea-serving manners once? and we will guide how to blend and how to drink from the foundation. I am also teaching the way of brewing with delicious other "highest-quality-green-tea" and"green tea" of powdered green tea. Delicious tea can be drunk every day by getting to know the tips on the way of brewing carried out just for a moment! Popular powdered-green-tea experience is preparing two classrooms. I am preparing the course of only experience besides "the tea and the course with a bamboo whisk" which can enjoy powdered green tea easily also at home. a friend, lovers, etc. invite and uniting? Please contact us freely for reservation and an inquiry.